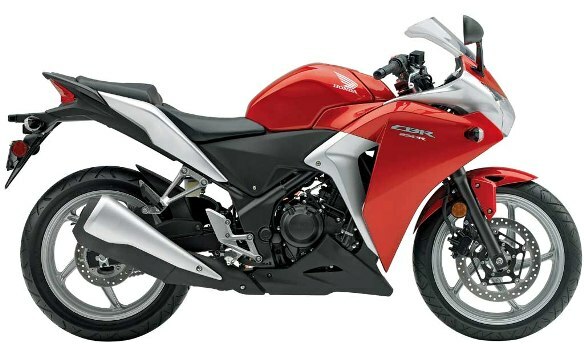 onda has officially unveiled the new CBR250R in Thailand and stated in it's official press release that that it will sell the CBR250R in India too..!! I have always been a fan of the various automotive magazines available in the country as they have always fulfilled my desire of quenching my thirst in the automotive industry during the times when the internet was still a novelty for many. I remember buying a magazine every month to satisfy my urge of knowing more and more about automobiles and I also loved reading reviews about the latest bikes being launched. There were always some or the other terms that were mentioned but I never understood what it actually meant. And one such term was over square engine and its similar terms like under square engine. I never knew what it really meant, but I assumed it must be something related to the engine. So, here I am, trying to write down what exactly these terms mean and by what way it benefits the rider. The engine size or capacity is generally the amount of the space the combustion chamber displaces and is measured in cc’s as we all are familiar with 220cc, 150cc engines mounted in various bikes. The engine capacity is measured as Bore x Stroke. Here, Bore is the diameter of the cylindrical block and Stroke is the depth of the cylindrical block, as shown in the image. 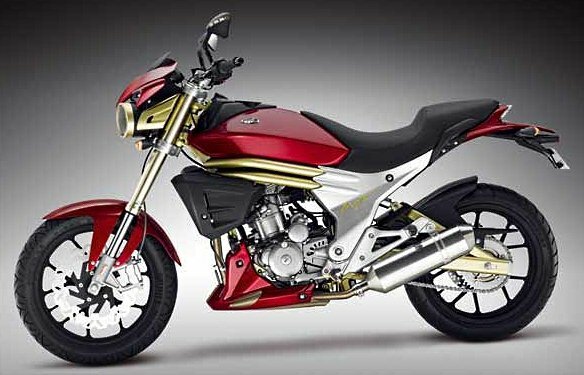 TVS Motor Company, India's third largest two-wheeler maker, on Thursday has stated that its second-quarter net profit more than doubled on higher sales and lower costs. The company reported a 123 per cent rise in September quarter net profit at Rs 54.8 crore, compared to Rs 24.5 crore in the same period last year. Revenue grew to Rs 1,616 crore from Rs 1,130 crore. "The product mix was better and the fixed costs as a percentage was lower," said H S Goindi, president, marketing. Higher motorbike and three-wheeler volumes in the quarter drove sales and profits, he added. Goindi also said TVS Motor had taken a price hike of up to 1.5 per cent on various models in September and would take a call on another price hike during the current quarter. Net sales rose to about 15.9 billion rupees from 11.15 billion rupees. According to an analyst it was because of the higher volume the topline was expected to be that high who also added that an improved product mix also helped operating margins. It was mentioned that TVS' EBITDA margins came in at 6.7 per cent for the quarter compared with 5.5 per cent a year ago. Total two-wheeler sales grew 32 per cent in the second quarter to 517,000 units. Motorcycle sales jumped over 35 per cent to 210,000 units. Two-wheeler exports rose 67 per cent to 59,000 units. Three-wheeler sales for the quarter rose to 9,826 units from 3,259 units a year ago, TVS Motor said in a statement. TVS, along with larger peers Hero Honda and Bajaj Auto has seen rising sales this year as the rapidly expanding economy continued to pull buyers. Two-wheeler sales have grown 25.86 per cent between April-Sept, data with industry body Society of Indian Automobile Manufacturers (SIAM) showed. TVS Motor shares ended up 1.55 per cent at 75.25 rupees in a firm Mumbai market. Good news for all the Bulleteer’s as Royal Enfield is pleased to announce its Annual Biker Fest happening in Goa in the Month of November 2010. Where all the Bull owner’s join together & participate in the activities organized by Royal Enfield. For three days starting November 19th 2010, hundreds of Royal Enfield Riders from all over the country will converge at The HillTop, Vagator in Goa for the Royal Enfield Rider Mania 2010. This is The Biker Fest representing a family reunion of Royal Enfield Riders who follow their heart and get together to celebrate “The Thump that Binds” them together. The event in its eighth edition is the one where you meet passionate likeminded Royal Enfield fans (fanatics) and bond as a single unit, swap ride stories, discuss motorcycles, and pit against each other in competitive events like Dirt Track Racing, Trials, Slow Race, Arm Wrestling and the unique ‘Carry your Royal Enfield’ event. 20 selected bikers riding Yamaha bikes from the four corners of India, riding across various places, covering more than 12,000 kms across 17 states and 67 cities in 32 days have reached Kochi to rock the huge funfare and festivals. Renowned singer Benny Dayal along with some other fun activities put together welcomed the riders and marked the culmination of the tour. All this is taking place as part of the Yamaha SZ Tour – the bike which is designed to tour long distances. Ideal combination of Power, Comfort & Style, SZ has been designed with a strong focus on quality and performance. It has been designed and engineered down to the finest details for maximum comfort of the rider. Powering the new SZ is an all-new 4-Stroke air-cooled, SOHC single cylinder with 153cc engine that has been tuned for optimum performance i.e. Extra Power in the low to mid-speed range thereby ensuring a stress-free ride on Indian roads. There is a large capacity 14L fuel tank which gives the ability to go Extra Mile. The long cushioned seat ensures comfortable riding position enabling a straighter back and Extra Comfort while commuting long distances. 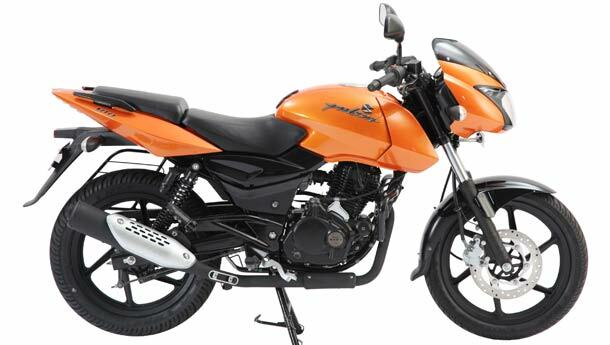 Bajaj Auto has without doubt been the most conservative with the color options for its bikes. 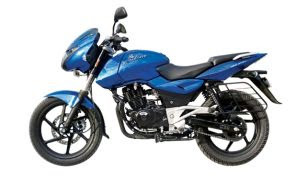 When other manufacturer's demand premium of around 2-3K's just for some color options, Bajaj has just provided 4 staple colors (Black, Blue, Red & Silver) for its Pulsar range for the last 4-5 years. Bajaj has now decided to provide a new Dual Tone "Metallic Orange" color option for it's Pulsar 180 and Pulsar 220 range of models. The "Metallic Orange" is not merely a Limited Edition color but will be available as one of the color options to choose from (apart from the earlier 4 colors). The engine and the technical specifications remain the same. There will be a additional Rs. 500 charged over the ex-showroom prices of these models for the "Metallic Orange" color. Bajaj Auto Ltd, one of the major two-wheeler players in the country has much reason to rejoice. On the back of its highest-ever quarterly motorcycle sales, Bajaj Auto has reported 69.32 per cent jump in its net profit at Rs 682.08 crore for the second quarter ended September 30, 2010. According to a company statement, the net profit stood at Rs 402.83 crore during the same period last fiscal. Total income during the quarter under review stood at Rs 4,341.82 crore compared with Rs 2,887.51 crore in the corresponding period last fiscal, up 50.37 per cent. During July-September quarter, the company had sold 10, 00,570 units against 6, 86,727 units in the corresponding period last fiscal, up 45.70 per cent. In the motorcycle segment, the company recorded its highest ever sales at 8, 83,494 units compared with 5, 99,641 units, a growth of 47.33 per cent. “The quarter witnessed the highest-ever motorcycle sales,” the statement said. One of the leading two-wheeler manufacturers which is also into three wheeler category, Bajaj Auto Ltd has said that it will increase its overall vehicle production capacity to 50 lakh units a year by the end of this fiscal. The company has three manufacturing plants at Waluj and Chakan in Maharashtra and Pantnagar in Uttarakhand and produces a total of 46 lakh units of two and three- wheelers annually. "Earlier this month, we have commissioned Plant II at our Pantnagar facility taking the capacity to 15 lakh units of motorcycles per year from 12 lakhs. By March 31 next year, total capacity at the plant will reach 18 lakh units per annum," Bajaj Auto Chief Financial Officer Kevin Dsa said. Besides, the company will be increasing production capacity of three-wheeler at its Waluj plant to 5 lakh units annually from the current 4.2 lakh units, he added. The plant also produces bikes with a capacity of 15 lakh units per year. "Motorcycle capacity at Waluj will remain the same," Dsa said, adding there will not be any capacity hike at the Chakan plant, which has can produce 12 lakh units a year. Asked about the investments, he said it is part of Rs 150 crore to Rs 200 capex slated for the ongoing fiscal. "This year we had earmarked between Rs 150 crore and Rs 200 crore for capex, including capacity expansion, research and development, modernisation, replacement and support systems," he said. On the sales prospect of the company for the ongoing fiscal, Dsa said: "In the beginning of the year we had stated that we will be selling a total of four million two and three wheelers. We still maintain that." The company today posted a net profit of Rs 682.08 crore, up 69.3 per cent from the same period a year ago on the back of its best ever quarterly sales. "We have been breaking sales record. The previous best was achieved in the preceding quarter of this fiscal," he said, adding the high profit were also mainly due to the company's good sales performance in high-end segment bikes, where the margins are high. "Of our total bike sales, 86 per cent is from high end Pulsar and Discover motorcycles and that helps in profitability," he said. Yamaha has also have confirmed the fact that they are currently engaged in researching the Indian scooter market in order to gauge the expectations of people and the market mix. Yamahas officials say that they are currently engaged in studying market conditions and whether they can launch scooters in India from their existing portfolio i.e. product lineup. However the products to be launched in Indian market remain suspicious, Yamaha is set to raise the bar with launch of scooter in India. Yamahas Business head Pankaj Dubey said that the company is deciding whether to introduce any model from their portfolio or develop a new model for Indian market. He further says that one may see the Launch of Yamaha scooters soon in India. As far as the speculations go Yamaha may launch its scooters line up ranging from 50cc to 135cc or even more. Overall, the picture looks cool and one can surely expect lot more powerful two wheelers from Yamaha in coming months. Hi I am Ajinkya from Nagpur. 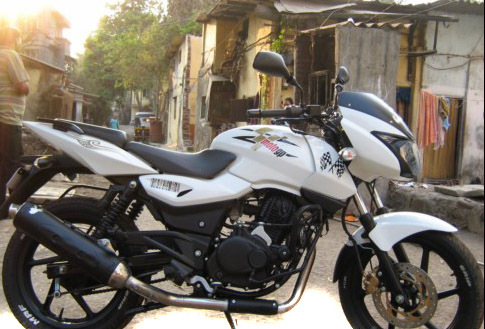 I own a White TVS Apache RTR 180. It was 9 months back when I was going to buy a bike I got to know everything about bikes and did a lot of surveys. Final verdict came out The Pulsar 220. But at the day of the purchase one of our neighbors son got an accident and a few more on pulsars then we changed our decision to buy the second option of the RTR180. Till now it has been a mixed reaction. First of all I must tell all of my review readers that I am 46 yrs. young & my opinion about the bikes will be from the angle of a familyman which may be contrary to “youngsters”. 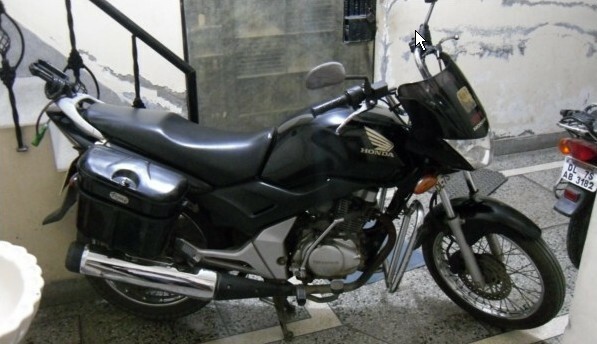 I bought this bike in March 2005 because it was then recently launched bike by Honda itself. I wanted to have mono-suspension experince. Seat of this bike was lengthier & slightly flatter than Pulsar & CBZ. In the first 5000 kms.I have run it 60000 kms.till now. Initially didn’t face any problem as I was running it at low speed of 40-50 kmph & without pillion riderduring running in period. Hello Riderz! I’m Aju from Panvel (Navi Mumbai). I am an IT graduate and currently working in an IT company. I am very passionate about bikes & would consider owning a bike instead of a car. I have a Pulsar 180 UG-4 which is completely owned by me. Yes, I have bought this Bajaj Pulsar 180 on my own. I call her “rápido díablo”, which is Spanish for “Fastest Devil”. I bought it one year back on 17th Oct. 2009. Initially, I thought of giving my review as soon as I bought my Díablo but then I thought, it would be better if I perform a review after using it for a year. So that I can explain all the pros n cons of the bike. Moto GP May Come to India! Ducati, one of the coolest manufacturers of sports bike, plans to bring Moto GP racing to India. Moto GP is an internationally recognized highest level of closed circuit racing and the Italian company i.e. Ducati wants to bring it to India. Ducati has constantly involved in negotiations with Dorna in order to bring Moto GP to India. Dorna is a group that controls the organization of Moto GP. Ducati’s CEO Gabriele Del Torchio is currently involved in talks with Dorna’s CEO Carmelo Ezpeleta about brining this international event to India. Ducati’s CEO is of an opinion that if the racing event can happen in Qatar, China, Malaysia and Australia, it can also happen in India. He further said that India have proved time and again that they have best infrastructural facilities. One thing is assured that if everything goes fine, India shall soon host big tournaments. As a reaction to this, JP Associates have built a F1 Racing Circuit near greater Noida. The New track is all set for the races. Presently India has got only two racing circuits i.e. the Kari Motor Speedway, near Coimbatore, and the Sriperembudur track near Chennai. So hang on people till you see Moto GP coming to India. Much to the thought of the people, Yamaha has launched its latest improved model of FZ/FZ-S called “Midnight”. Midnight is an improved version of the much popular versions viz. FZ and FZ-S and it is a limited edition model up for grabs. Last year Yamaha launched the special edition of the FZ series in white color and this time they came up with a spunky color pattern called “Midnight”. The country's second-largest two-wheeler maker, Bajaj Auto has stated that it has hiked the prices of almost all of its models by up to 2 per cent with effect from October 1. "We have raised prices by up to 2 per cent for almost all two-wheeler models from October 1," said Bajaj Auto Managing Director Rajiv Bajaj. Bajaj Auto's move to hike the prices of its scooters and bikes comes in the wake of similar steps by other companies, such as Maruti Suzuki and Tata Motores, to offset rising input costs. While Maruti had increased the prices of all its models, except the Alto, by up to Rs 7,500 in August, Tata Motors hiked the price of its passenger and commercial vehicle by up to Rs 40,000 at the beginning of this month. Bajaj Auto had reported its highest ever motorcycle sales in a month of 3,14,515 units in September, a 26.24 per cent jump in comparison with its performance in the same month last year. The previous record was achieved by the Pune-based company on the back of the robust performance of its premium bikes, Pulsar and Discover 100. Total vehicle sales of the company stood at 3,52,769 units in September, compared to 2,80,916 units in the same period a year ago, a growth of 25.58 per cent, the company had said. Three major closely-held companies of the TVS group, TV Sundaram Iyengar & Sons, Lucas-TVS and Sundaram Industries (SIL), have reported a big surge in net profit during 2009-10 riding on the robust recovery in the auto sector after the 2008-09 slowdown. TVS & Sons clocked a record 200 percent jump in net profit at Rs 116.10 crore in 2009-10 against Rs 38.70 crore in the previous year. On a paid-up capital of Rs 11.44 crore, its reserves and surplus improved to Rs 340.20 crore (Rs 266.91 crore). The company has business interests such as distribution of auto parts and vehicle dealership. Hi! 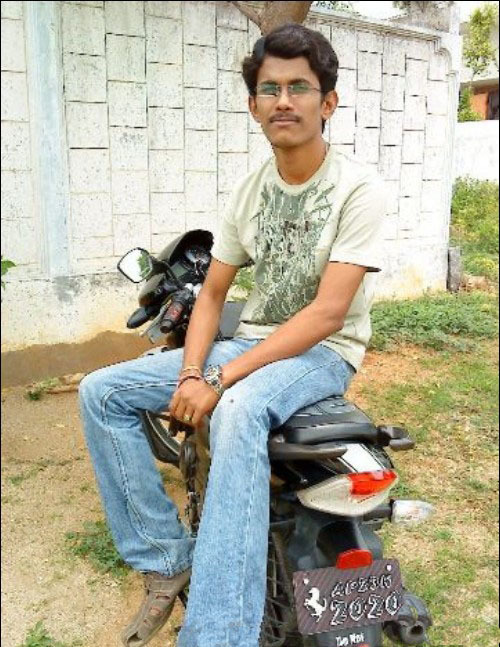 I am Piyush from Bangalore. I am college student doing engineering. I am a great passionate lover of bikes with 7 years driving experience. In this duration, I have used 3 bikes cd-dawn, pulsar 150 and finally pulsar 180UG4 on which I am going to write a review .I have been using this bike from last 15 months and I drove it for about 20,000 kilometers with a daily up-down of 40 kilometers and it includes many long drives with my friends. After selling off my 1987 RX100, I was on the lookout for a good and appropriate motorcycle for my daily commute. I was looking for a bike that – was stylish, adequately powerful (for the occasional out-of-town rides), low maintenance, had good build quality and relatively cheap to buy. Fuel consumption was taken for granted, since most commuters sold in India are relatively frugal anyway. 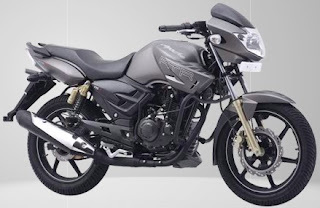 TVS upgrades its Apache RTR 160 as "HyperEdge"
I had posted a couple of months back about TVS preparing to launch an upgraded Apache RTR codenamed as "HyperEdge". 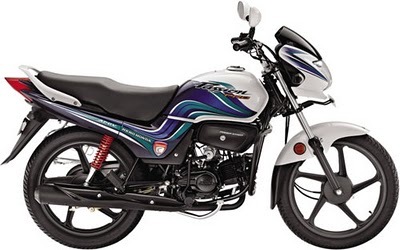 True to the original informatuion, an upgraded/refreshed Apache RTR 160 has been sighted in certain TVS showrooms. Posted below are the photos of the new "TVS Apache RTR HyperEdge 160", Phew.. that's quite a mouthful..!! Hero Honda has recently launched a new Limited Edition Passion Pro model to commemorate the 2010, New Delhi - Commonwealth Games. -- Anil Dua, Senior Vice President (Marketing and Sales Hero Honda) said. The bike comes with the special XIX CWG 2010 insignia on its side cover. The CWG 2010, Limited Edition Passion Pro costs around Rs.46,300 (ex-showroom Delhi). Which is just Rs. 1,000 over the regular, 'alloy wheel + self start' variant of the Passion Pro (Rs. 45,300). Japanese two-wheeler giant Yamaha has appointed H Suzuki as the head of its Indian operations. The former Yukimine Tsuji, who is currently head of India Yamaha Motors Pvt. Ltd. (Yamaha’s wholly owned subsidiary), will be replaced by H Suzuki with effect from November 1. “After spending three and a half years at India Yamaha Motor Pvt Ltd (IYM), it’s CEO and MD Yukimine Tsuji is moving back to YMC to take on a new set of challenges. He will be replaced by H Suzuki effective November 1, 2010,” the company said in a statement. Tsuji was appointed as Chief Manufacturing officer of India Yamaha Motors Pvt Ltd. in May 2007. Subsequently he moved to CEO and MD position in December 2008. He has played an important role in commissioning the new Surjapur assembly facility and Fraidabad engine parts manufacturing plant. During his tenure, Yamaha India launched several products such as FZ, FZ-S, Fazer, YBR 110, YBR 125 and SZ motorcycle. 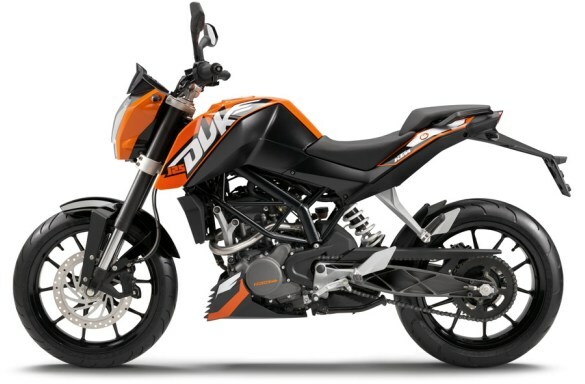 2011 KTM 125 Duke – Production Version Officially Unveiled! After almost, 10,000′s of teasers, videos and contest, KTM has finally decided to give it a break and has officially unveiled the production version of its highly anticipated roadster, the KTM 125 Duke at the 2010 Intermot Show in Cologne, where it stood in public for the first time. Powered by a fuel- injected four stroke single cylinder engine, the KTM 125 Duke is the company’s first street legal bike, aimed at young and entry level riders. KTM has claimed a power output of 15.2hp at 10500 rpm and 12Nm of max torque at 8000rpm. Top speed is electronically limited to 80 km/h. Hello every one! This is Bhanu (Bunny). At last I am here to write review report of mine – one and only TVS Apache RTR 160 (Black Beauty). Definitely it is now or never. I had bought my bike two and half years ago after careful examination and comparison between Pulsar 150 & 180, unicorn and Cbz xtreme. Today I am a proud owner of Apache RTR and I say it by beating my chest. I pity my friends who had taken a wrong step of choosing pulsar, because now they compare my bike with their pulsars keeps on complaining about the performance and sounds from their bike. India’s second largest two wheeler manufacturer Bajaj auto planning a new 100cc bike which could cost less than 40,000 Rs. Bajaj Auto which has seen great success of its 100cc bike discover wants to strengthen its position in 100cc segment by this new offering. 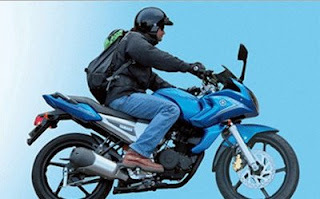 The news came when Bajaj auto informed its auto parts suppliers that they are developing a 100cc bike. Two of the auto parts suppliers of Bajaj auto who declined to be named to the Dow Jones wired recently said that the new motorcycle is being developed as part of Bajaj Auto’s plan to expand its offerings in the entry-level segment. 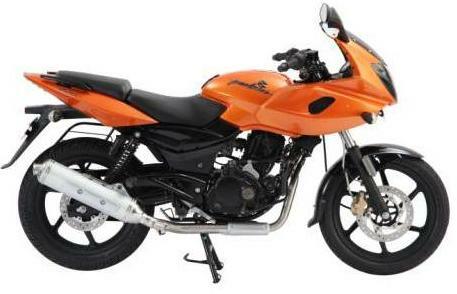 Bajaj Auto currently sells 10 motorcycle models, including two with 100cc engines–the Discover 100 and Platina. 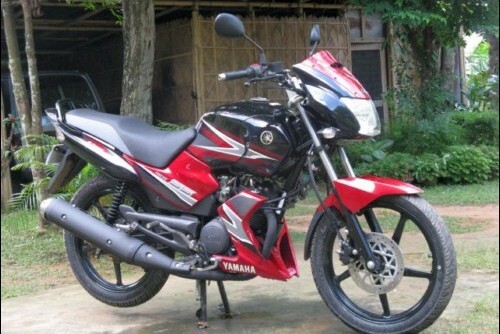 It also sells a 150cc motorcycle under the Discover brand and a Platina 125cc motorcycle. 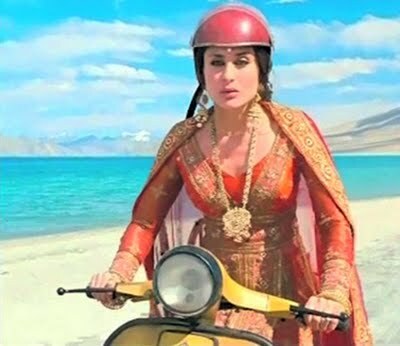 After endorsing Aamir Khan as a brand ambassador for motorcycle, Mahindra Two Wheeler has appointed Kareena Kapoor as a brand ambassador for their power scooters. 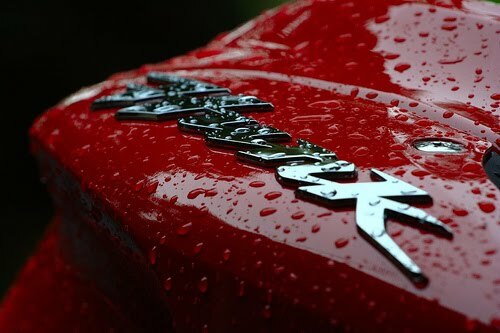 The first multimedia campaign featuring Kareena Kapoor is of Mahindra Rodeo which will appear later this month. Mahindra’s power scooters portfolio includes Rodeo, Duro and Flyte. While Rodeo is positioned as a rugged family scoter, Duro is positioned as a stylish and innovative youth power scooter. Hero Honda, a major two-wheeler manufacturer has now plans to set up a fourth manufacturing unit in the Baddi-Barrotiwala-Nalagarh industrial belt of Himachal Pradesh, as it is projecting that it will exhaust its installed capacity in the current fiscal year. The world’s largest two-wheeler maker by volumes has sought the Himachal Pradesh government’s help in acquiring land for the project, which includes a mother plant and ancillary units. According to a senior official, the company has sought the state government’s help to acquire around 2,000 bighas of land. The company is keen on the site in the Solan district, which is connected by road with major markets in north India. In the last few months, Hero Honda executives have been surveying some locations in Sirmaur and Solan districts of the hill state. The company’s current 5.4 million units capacity is likely to be exhausted in the current fiscal year as the sector is booming on the back of robust economic growth in the country. Hero Honda sold over 4 million two-wheelers in the year to March 2010 and is looking to breach the 5-million mark in the current fiscal. I have been a bike rider for over 8 years and this is my 3rd bike. 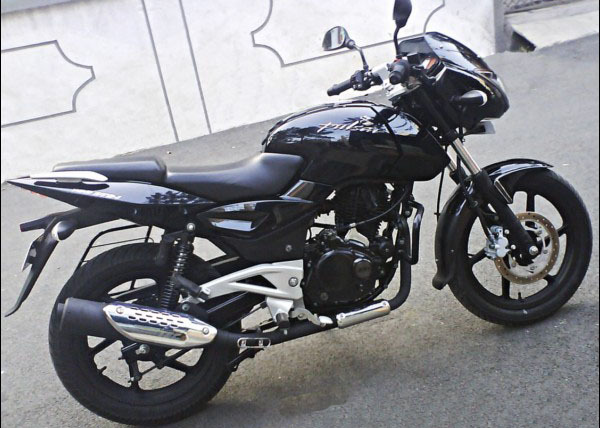 I am a proud owner of a black Yamaha Fazer since 10 months. I have already clocked 6000+ kms and have done 4 long trips; twice Mumbai – Lonavala – Mumbai (almost 140 kms one way); once Mumbai – Pune – Mumbai (almost 190 kms one way) and once Mumbai – Dahanu – Mumbai (approx 140 kms one way). The relationship of a true rider with his bike has always been like that of a girlfriend, be it with any bike. You have to treat her with respect and love. You feel proud and elated right since the moment you walk into the showroom to book the bike having decided upon all the other things like choosing the perfect bike from amongst the plethora of bikes available in the market, the financials etc. Hi guys! My name is Vikrant Singh. 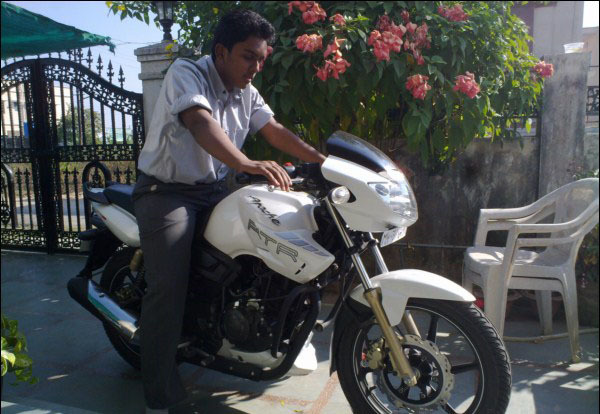 I am crazy Lover of My Pulsar 200 DTSi. I learnt how to ride on this bike so I am deeply attached with my bike. I have named her “VIK3″. If I speak about VIK3, there is a lot to talk and I won’t stop. But I realized that this is not a place for stories, its review so let me get down to the important points that I looked when I planned to purchase a bike. 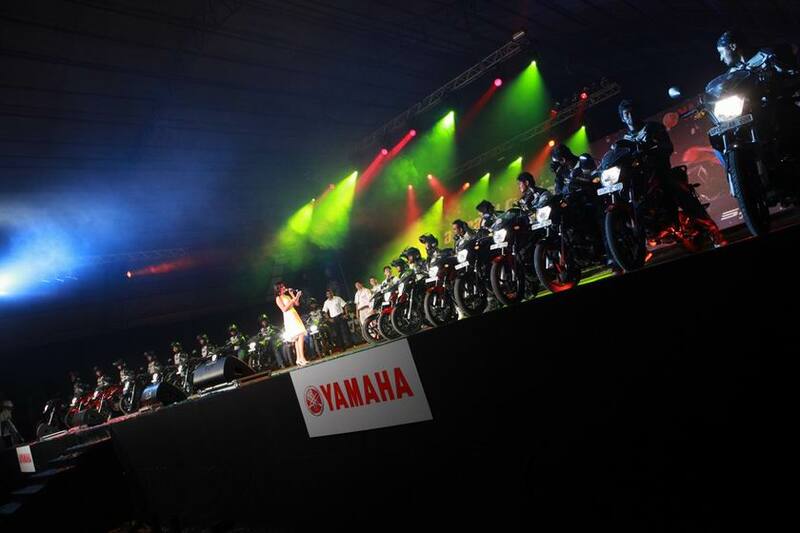 Yamaha Sales Grow 13 per cent in September-Upbeat about upcoming festive season! “Having received an overwhelming response for FZ series, we are also launching Limited Edition FZ series bikes in Midnight Special color scheme during this festival season. We are confident that these too will be an instant hit among the biking enthusiasts”, he added. The company is continuing with its efforts to enhance consumer confidence by conducting various marketing initiatives like Yamaha Safe Riding Science, Yamaha R15 One Make Race Championship and Yamaha Service Camps. The company is also focusing its efforts on strengthening its dealer network in tier-2 and tier-3 cities. It is also increasing its sub-dealers in rural areas too focussing on the commuter segment. Automotive giant Bajaj Auto Ltd has reported its monthly sales of 352,769 units in September, a 26 per cent increase from 280,916 units in the same period last year. The company which is challenging the number one two-wheelers company Hero Honda though is registering a healthy growth rate, is still behind the leader. Of the 352, 769 units sold, motorcycles accounted for 314,515 (249,133) units with commercial vehicles taking up the balance 38,254 (31,121) units. Exports totaled 101,960 units, up 26 per cent from September 2009 level of 80,681 units. 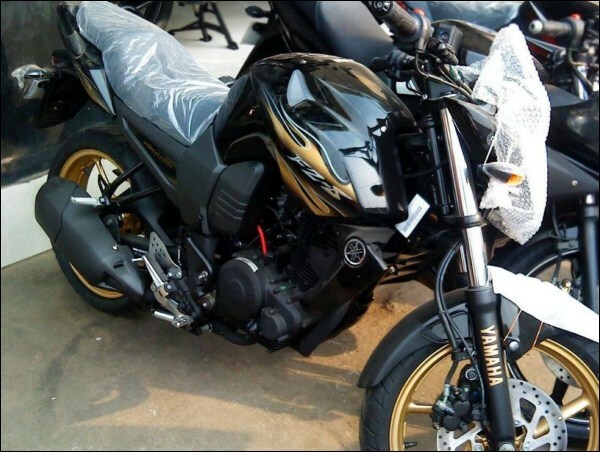 Yamaha may launch new and upgraded versions of FZ-16, FZ-S and Fazer bikes i.e. the whole FZ series. It is also being speculated that Yamaha may launch these upgraded versions by Diwali, though no such confirmation has been received from the officials. As far as the upgraded versions of the FZ series are concerned, Yamaha will only be making the bikes attractive rather than enhancing its performance i.e. they will only count their chickens on paint job and graphics rather than improving bike’s performance. If at all Yamaha launches these improved version (only physical improvements), it is estimated that they will be charged Rs.2000 above the normal regular price. The upgraded paint job could be then compared to Yamaha YZF-R15. There seems to be no confirmation though about the launch of upgraded versions. We will have to wait and see if Yamaha comes up with this or not. Tsuji joined IYM as Chief Manufacturing Officer in May 2007 and stayed in that role until December 2008 when he took over as its CEO&MD. Tsuji has been the driving force behind various initiatives of IYM including commissioning of new Surajpur Assembly plant & Faridabad Engine Parts manufacturing plant, Product Quality enhancement measures, Enrichment of the model line up with the launch of FZ-S, Fazer, YBR 110, YBR 125 & SZ bikes and Strengthening of dealer network. The recent launch of the SZ Powerful-commuter bike is the direct result of the hard work put in by him and his management team. Because of his efforts, IYM is strongly poised to fully realize it’s potential. One of the country’s leading two-wheeler manufacturers, Bajaj Auto, is likely to increase the prices of its bikes by 1-2 per cent this month following a rise in input costs, according to a senior company official. "Input costs have risen considerably. As a result, we will have to increase the prices of our vehicles. We are planning to increase them by 1-2 per cent from this month," the company's General Manager (Marketing), Milind Bade, told reporters on the sidelines of an event here. However, the company is still working out the details of the hike, he said. In July this year, the company had increased its prices following a rise in steel prices. It is expected that steel prices are likely to increase by Rs 500-1,000 in the coming months following an increase in the global demand for the material. Bade said that the company was also planning to ramp-up its production capacity to 2-million units annually by this month. The time has at-last come! It is time for me to look for a new companion as my aging companion was getting really old. 11+ years to say it exactly! My companion on all my road-trips, chugging the uphill’s and cheerfully doing the downhill’s, was Bajaj Caliber. Yes! My Caliber did a wonderful job all these years. When it was a baby back in last quarter of1998, it used to be the king of the road. But now with cut throat competition and plenty of ‘kings’ trying to invade the roads, the time has come to change my workhorse. It has been in the news for sometime now; people have been flocking Hero Honda showrooms to enquire about it and it is here, finally. The all new Hunk makes its way to the showrooms with a rather funny and familiar tagline “NO ONE MESSES WITH IT” and a very flashy and heavy website. Needless to mention: technical specifications remain exactly the same as has been a general norm with Hero Honda upgrades. But apart from the routine cosmetic enhancements, the new bike does get a handful of good add-ons. Let’s take a quick look at what is the hype all about. Official specifications and details of the KTM 125 Duke is out. The "baby" Duke will be available on sale in Europe by March 2011. India launch could be in the later part of 2011. Liquid cooled engine, 4 Valves-DOHC, Fuel Injection, 185 mm Ground clearance, 43 mm dia USD (Upside Down) Front Forks, Chunky Swing-arm, 150 mm Rear Tyre, Trellis Frame, Hydraulically Operated Clutch..!! 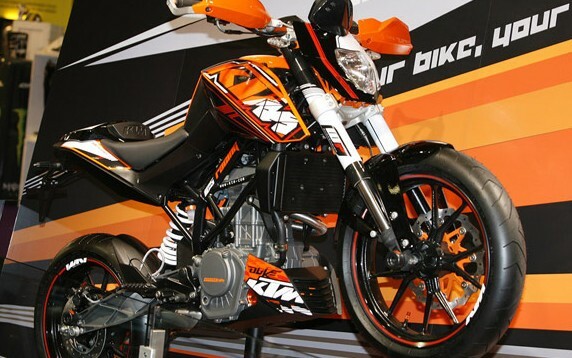 For those who are yet not aware, it is our own Bajaj Auto Ltd. which will be manufacturing these "Krazzy" KTM's in Pune..!! With a suspension geometry that consists of fork angle and height, motorcycles are designed. Changing of components from the suspension geometry of motorcycles can affect the geometry, therefore, it is advisable that the front and rear ends of motorcycles must match each other. When the front and rear shock absorber components interact properly, the optimum result can be achieved. Usually, the shock absorbers of motorcycles are pressurized. Under gas pressure, the fluid is put, and the fluid and the gas pressure are kept apart from each other with the help of a piston. 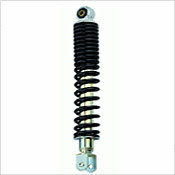 On the top of the shock absorber, this separating is directly fixed, or it is kept in a separate reservoir. 1) What is the Price of the Mahindra Mojo? A: 1.75 Lakh Ex-Showroom Pune. That means the final on road price will be around 2 lakhs. 2) When will the Mahindra Mojo be on sale in the showrooms? A: No dates have been fixed yet. But according to the Mahindra officials it could be probably by late this year or early next year.